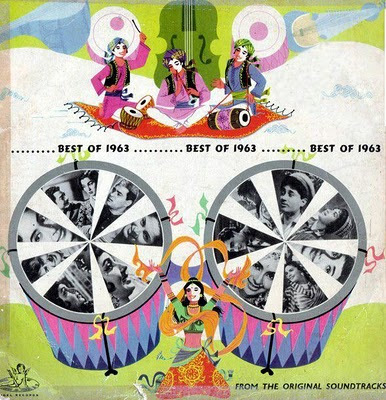 This collection of evergreen hits from 1963 has some really nice songs. My personal favorite: Jo Vada Kiya - a very catchy tune from Taj Mahal...written by Roshan and superbly sung by everyone's favorite duo (Lata Mangeshkar & Mohd. Rafi). Enjoy. :) Get it here at MediaFire. From the film Haadsaa, Kalyanji-Anandji's "Disco Cammata." Watch Helen and her band go tribal! Starring and directed by Akbar Khan (Feroz Khan's younger brother). Visit Music From The Third Floor for the original vinyl soundtrack album! Here is the video of the opening credits for Caravan (1971). The groovy title music by RD Burman features a mesmerizing vocal by Usha Iyer aka Usha Uthup. Caravan is classic Bollywood masala starring Asha Parekh, Jeetendra and Helen. The film is greatly enhanced by the quintessential RD Burman soundtrack! Visit Music From The Third Floor for the original vinyl soundtrack album! And add the mp3 of Caravan's title music here to complete RD Burman's brilliant score! Fascinating BBC documentary from 1973 on Rajesh Khanna with interesting interviews and behind the scenes footage. The source is a 2nd generation VHS copy that was recorded and converted by our friend Asli Jat. Watch the rest on YouTube and subscribe to Asli Jat's channel!